It might be called the ‘Paris of the East’ but to me, back then, it was the wild west! I first visited Shanghai from Hong Kong about four years ago. My initial impressions? ‘Wow! So this is the real China? !’ It was big, it was busy, it was bedlam! And this was explicitly apparent the minute we exited the airport. At one point, I thought getting to our hotel was going to be a miracle in itself, as we watched a fight (of sorts) break out at the taxi rank….a woman clearly peeved at the driver (for reasons unbeknown to us non-Chinese speaking foreigners) had plonked herself and her suitcase promptly in front of his taxi (at the front of the line) and refused to budge! Of course, in what I now know is ‘the Chinese way,’ shouting ensued while we stood there with our eyes boggling, waiting for someone to call a stop to it! In true Chinese fashion, it took quite some time. Once said suitcase and woman were removed and we were tucked up in our own taxi – driving to the hotel was another experience to behold; swerving in and out of lanes, we edged dangerously close to fellow drivers, I thought we might actually see what was on the back seat of neighboring cars. It was the first time I realized the “which ever is bigger, gets right of way!” rule existed — loudly and proudly, at that! Did I mention, that includes people? Despatched at our hotel, a little flustered, but unscathed, we remerged a little later to find burgeoning crowds, flashing neon signs and a city with attitude. Crossing the road was like doing an obstacle course! 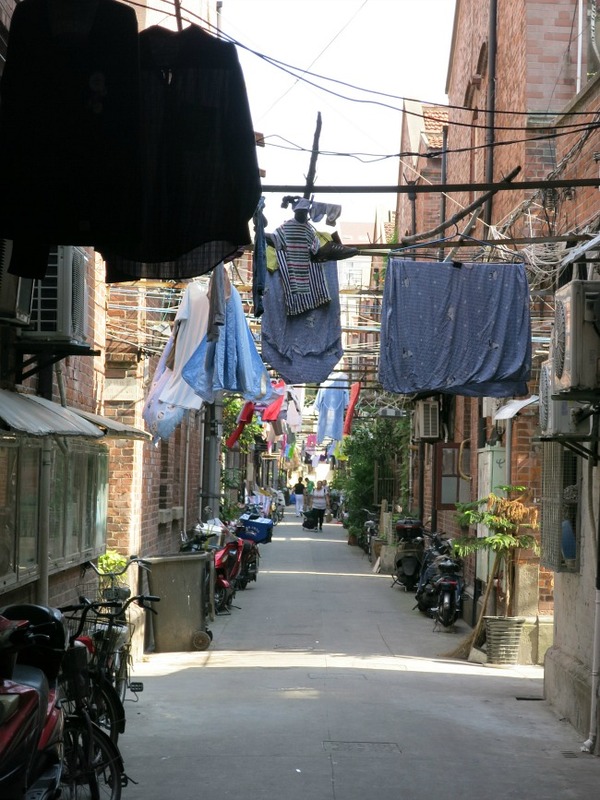 This time though, after nine months living in north western China, as we touched down in Shanghai and edged through the streets, I nearly cried at the sophistication…a city, a real city!! Suddenly things seemed quite (low and behold) orderly…. the driving barely producing a bead of sweat on my raised brow, the beeping lowered to a dull roar…. and crossing the road, pretty much a non event for this China slicker. Cars weren’t using the footpath as an alternative route and crossing on the green light, perfectly acceptable. Admittedly I’m partial to a big, strapping city, but the difference I saw in Shanghai this time was palpable… and I’m quite sure it wasn’t the city that had changed. What a difference a day nine months makes. The contrast between first and second tier cities is becoming all too glaringly obvious, but that’s a story for another day. Today, let’s focus on the largest city in China and one of the biggest in the world with 24 million people! (Yep you read that right!) 24 million! Based on this alone, it rightly deserves a little attention, don’t you think? Sassy and futuristic with its fancy, modern sky scrapers, I kinda felt like I should be in a Batman movie as we strolled along the famous Bund. Set in the nation’s south east, this former fishing village was once called ‘Hudu’ (hence the character for ‘Hu’ on Shanghai license plates) and is now not only the biggest city in china, but the nation’s financial hub and the world’s busiest container port (followed by Singapore, Shenzhen and Hong Kong). Shanghai – meaning ‘top of the sea’ – has over the years, emerged as a vibrant blend of cultures encompassing the modern, the traditional, the western and the oriental. Brief history lesson: the Shanghai International Settlement originated following the defeat of the Qing dynasty by the British Empire in the first Opium War (1839–1842) which saw the famous Treaty of Nanking signed. 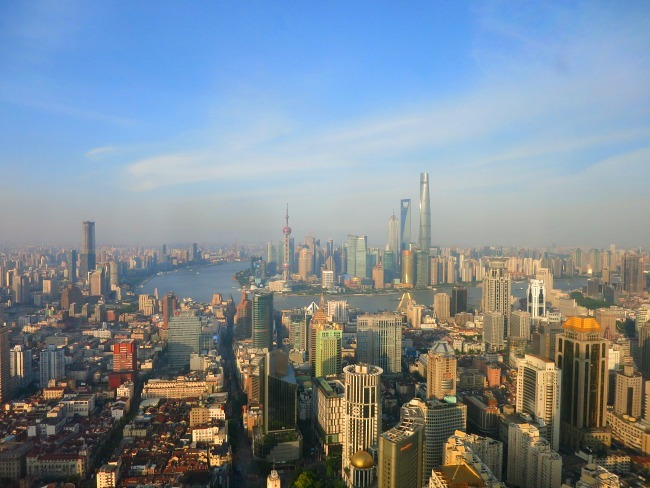 This saw Shanghai opened up to foreign trade for the first time. American and French involvement followed hot on the heels of the British, with distinct areas of settlement for the French in the south…known as the famous French Concession. All of which has given the city a rich Western cultural heritage. Is it like Hong Kong? You may well ask. Yes and no. Despite the obvious western influence in many of the buildings like this very colonial-style architecture along the Bund, and as sophisticated as it is when compared with other parts of China, it’s still very evident this is mainland China. As well as glittering skyscrapers as far as the eye can see, there are also quaint little streets reminiscent of old China. Ah hello, washing is hanging out to dry in the street, literally! In the malls, touches of the west brush the east. 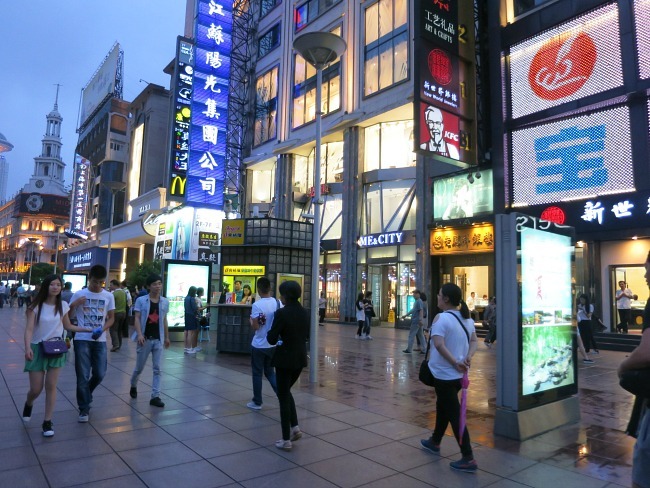 Those big global brands that have forged a slice of the pie in China, making themselves heard amongst the racket of local retailers. 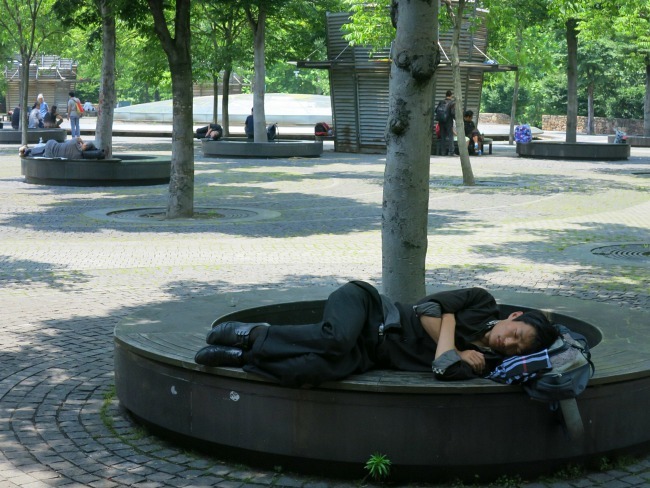 To this day, every Saturday, hundreds of Shanghainese parents assemble in People’s Park for the Shanghai marriage market – in their hot little hands, resumes of their unwed children to negotiate potential hook-ups!! Speaking of ‘hook ups’ (in the friendly sense) if I thought I could use this opportunity to practice my Chinese, I was sadly mistaken. 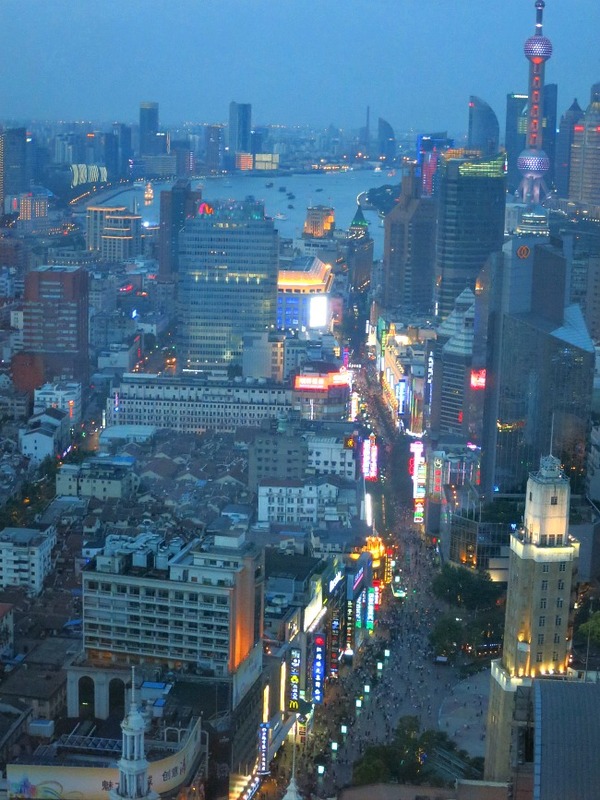 In Shanghai they speak a very distinct dialect – Shanghainese. Apparently Mandarin speakers can only understand about fifty per cent of this language! Um…so you can imagine my chances of understanding or being understood! Say no more. Thankfully, many of the locals speak English, now mandatory in school from first grade. 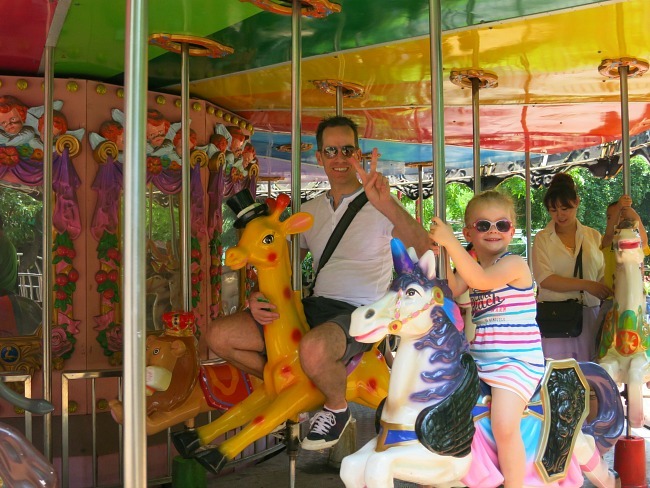 Oh and if you have young kids, there’s one of China’s great (vintage-style) theme parks nearby! Just quietly, I’m not sure who was having more fun here! 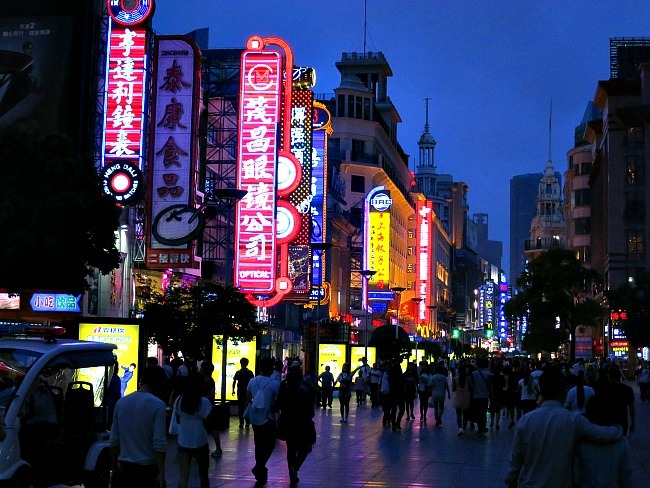 What else to see when visiting China’s most cosmopolitan city? 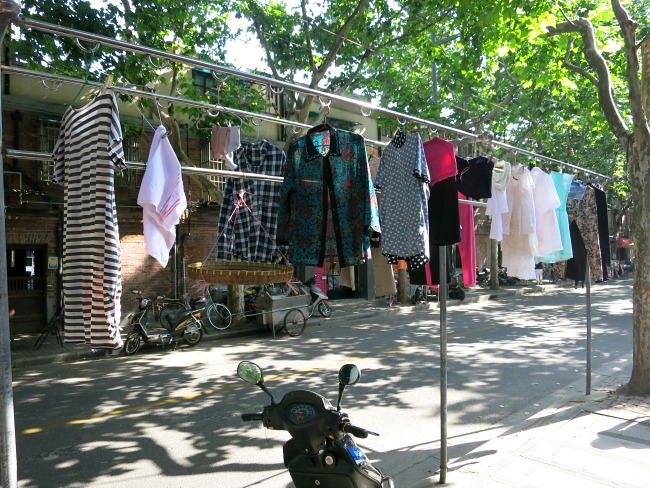 Former French Concession – Today, tree lined streets boasting quirky cafes, restaurants and shops make for a great place to stroll through and explore. 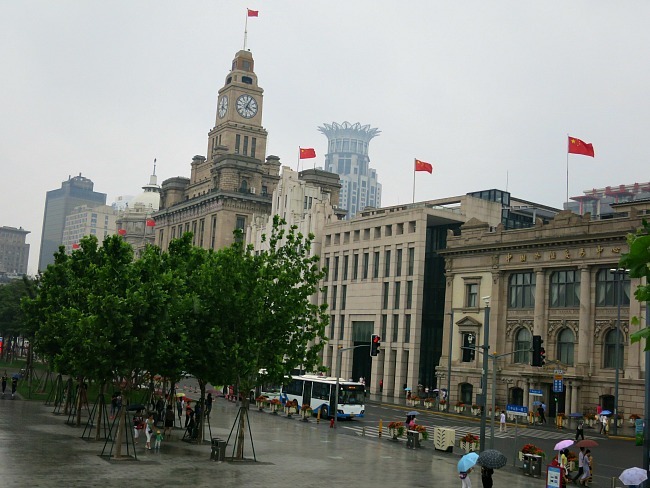 The Bund – Walk along the riverside promenade and take in the stunning city sights. 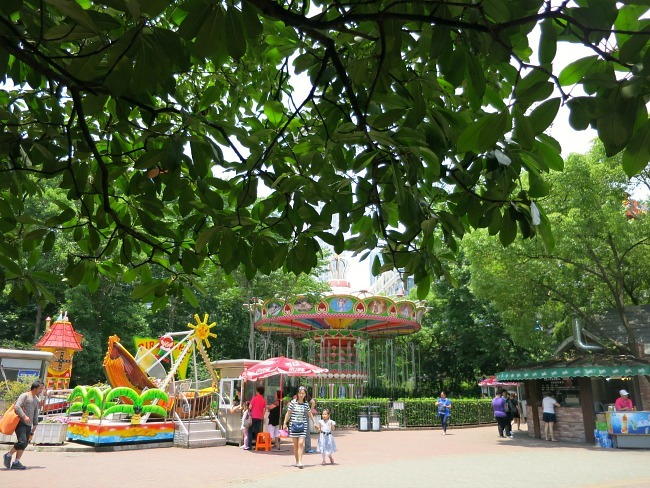 Fuxing Park – In the former French Concession it was once the largest park in Shanghai. 10 ha. in size it’s designed in French style, with a lake, fountains, covered pavilions, and flowerbeds. 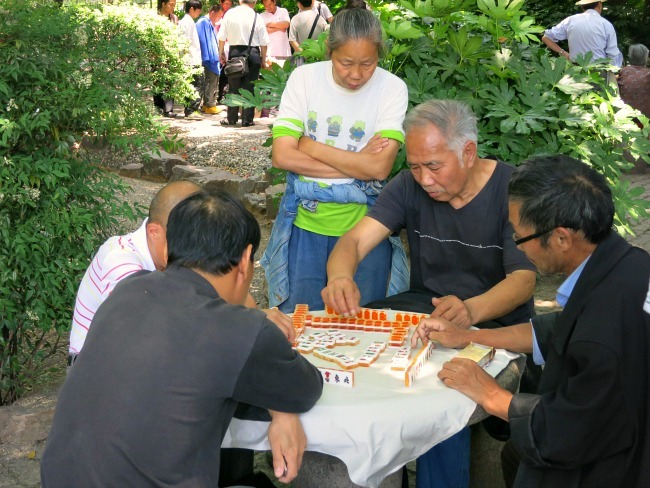 Check out the early morning dancers, card players and mahjong enthusiasts. The Oriental Pearl Tower – Shanghai’s most famous landmark….468 metres high, it has a revolving tea house and sight seeing platform. The largest ‘ball’ can hold 1600 people! 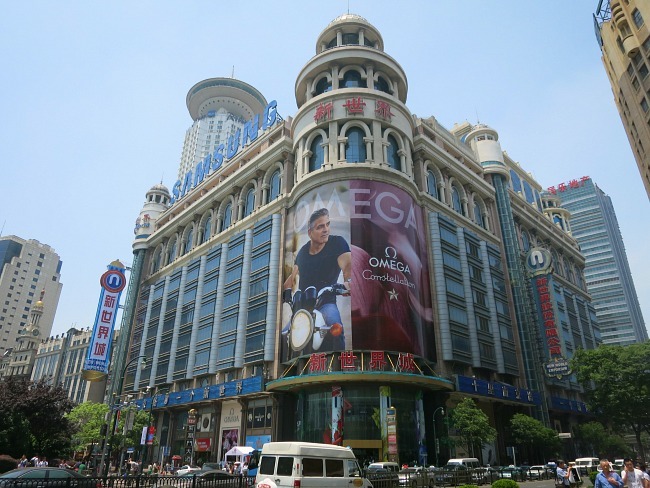 Nanjing Road – Shanghai’s premier shopping area – hit this part of Shanghai for everything from big name designer brands to local silk, jade and embroidered goods. 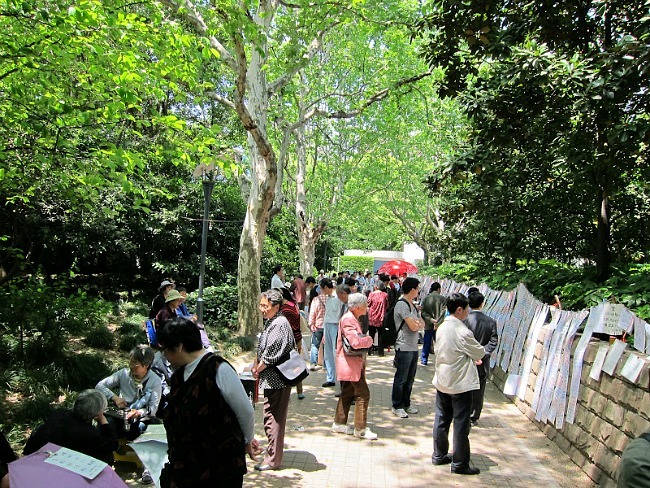 Tian Zi Fang – Originally part of the French Concession, a cute neighborhood full of small art galleries, craft shops, and cafes. 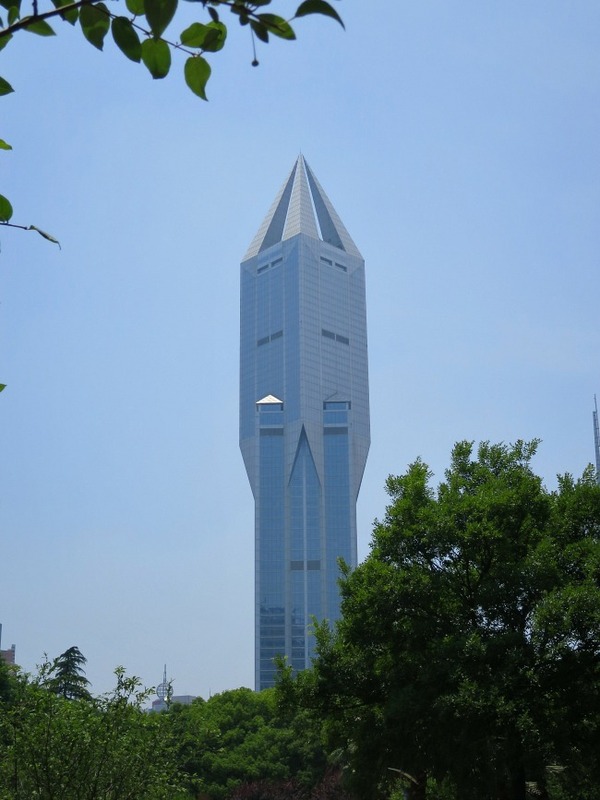 The Shanghai World Financial Centre – Has an observation deck on 97th floor, where you can get a fantastic view of the cityscape and the Oriental Pearl Tower. Bund SightSeeing Tunnel – One of the city’s top tourist attractions and one of its strangest. Bizarre, triply audio-visual effects play as you travel in an automated car ‘into the core of the Earth’ under the Huangpu river. The Shanghai Maglev – One of the fastest passenger trains in the world. Traveling at about 270 miles per hour, this train is the adult equivalent of the theme park ride! Water Town: Whether it’s Zhujiajiao, Xikang or Nanxun, there are quite a few mini Venices close to Shanghai that you can take a day trip to. This is the Paris of the East. 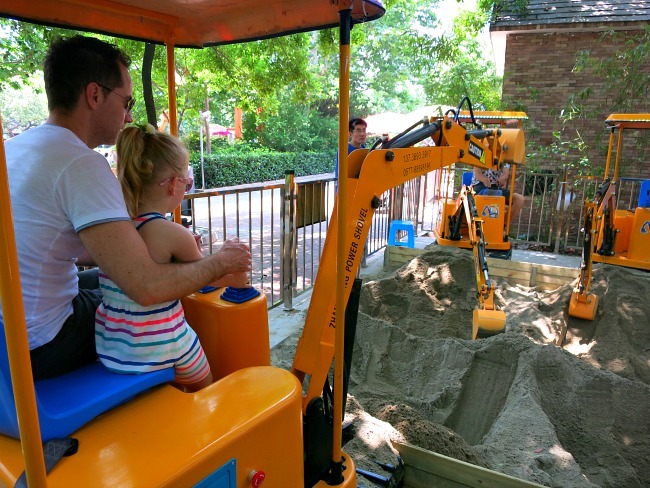 We are loving your blog! This review was really interesting, and the photos are absolutely stunning. What sort of camera do you use? Looking forward to reading more of your posts!